These beautiful studs from the Mantra collection are made from 925 Sterling Silver. 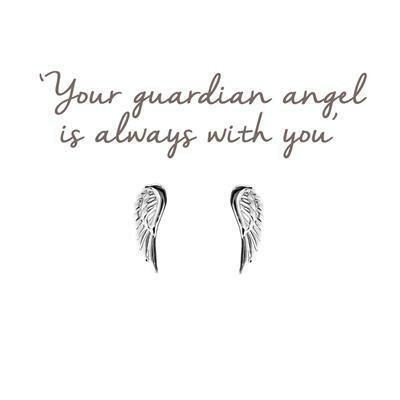 Wear your angel wing studs to remind you that 'your guardian angel is always with you' watching you and guiding you on the right path in life. The perfect Mantra in memory of someone close to you or a loved one who you know will be watching over them.